If you are looking for all the benefits of private club membership, like exceptional course conditions, fine practice facilities and tee times whenever you want to play, The Golf Club at the Resort is the club for you. Here you will find a full schedule of tournaments and social events to enjoy, business building networking opportunities and a clubhouse you can call home. Add to this a fabulous pool area and state of the art fitness facility and you can enjoy all the amenities of a world class club for a surprisingly affordable investment. 1. An exceptionally fun layout with the best greens in Texas! – A great membership has to start with great golf and at The Golf Club at the Resort that’s exactly what you’ll find: A challenging yet fun layout, excellent playing conditions year round and the best greens in Texas! 2. Play Anytime You Want with Member Only Advanced Tee Times – Members get 14 day priority tee times so you can play when you like to play. 3. Looking for a Game? You Won’t Have to Look Far! – Perhaps the greatest benefit of joining a club is the camaraderie that comes from being around others who share your passion. At The Golf Club at the Resort you’ll never have to worry about getting a game with people like you, no matter how high or low your handicap is. Our active membership has games everyday. 4. Excellent Practice Facilities – With practice facilities this good you’ll have no excuse not to work on your game and unlimited range balls are included in your membership. 5. Casual Yet Elegant Clubhouse Facilities – Featuring our fully stocked pro shop, club storage, bar, bistro dining and private lockers for our members’ convenience. 6. Enjoy Bistro and Poolside Dining – Entertain family, friends and business associates in style as you all enjoy casual bistro dining before or after your round. 7. Relaxing Pool. Good For You, Great for the Family! – There’s nothing like a cooling dip in the pool after a round and there’s no where better to entertain the family while you play in the summer months! 8. State of the Art Fitness Center to Keep You in the Best Shape of Your Life ! Our fitness center brings additional value to those who want to look and feel their best. 9. Full Schedule of Tournaments and Events – If a little competition gets your blood going, you’ll delight in our full schedule of MEMBER ONLY events including Senior, Junior and Men’s Club Championship, Couples’ Tournaments, Member-Guest and Better Ball events. 10. Full Schedule of Social Events – For those who do not live for golf alone, we plan to offer a full schedule of social events including dinners, barbeques, couples evenings out and other special events throughout the year! 11. The Golf Club at the Resort is the Perfect Place to Entertain Old Friends or Make New Ones – While the quality of golf is important to the membership at The Golf Club at the Resort; the club offers so much more. It is the perfect place to socialize, entertain and build lasting friendships with other like-minded players who share your passion for the game! 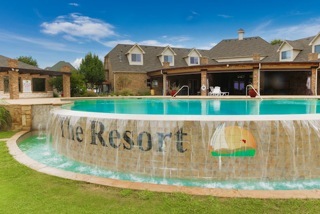 At The Golf Club at the Resort you will network and socialize with the top professionals, entrepreneurs and executives in the Metroplex area, trading referrals and business advice, like two foot gimmies! We currently offer memberships for Singles, Families, and Corporations. 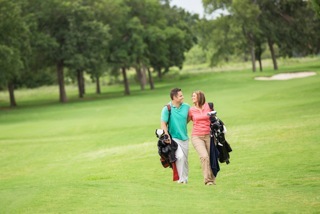 All of our memberships include unlimited golf, cart, range balls, and use of the practice facilities. To take advantage of our membership offer, email me now at ryan@centurionamerican.com.